Livingston County Administration Building - Bacon Farmer Workman Engineering & Testing Inc.
Bacon Farmer Workman Engineering & Testing, Inc. and Marcum Engineering, LLC. 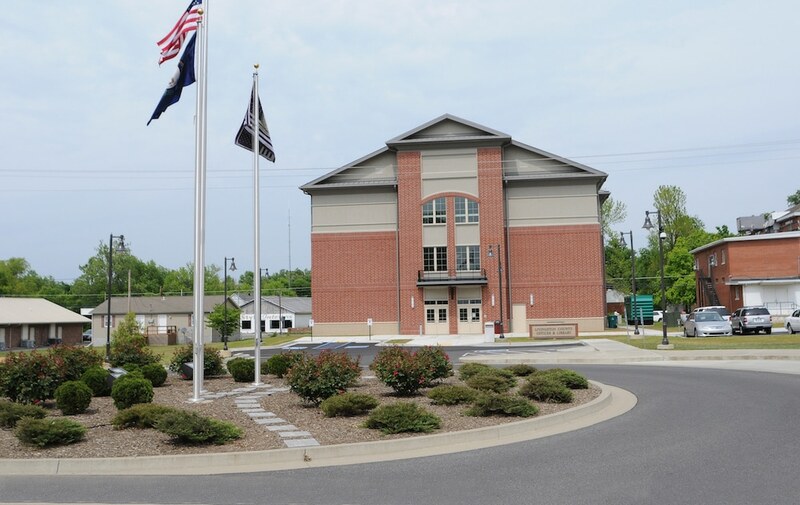 provided the full civil, structural, mechanical and electrical engineering design services for this new 26,000 square foot facility which is located adjacent to the new Justice Center in Smithland, Kentucky. 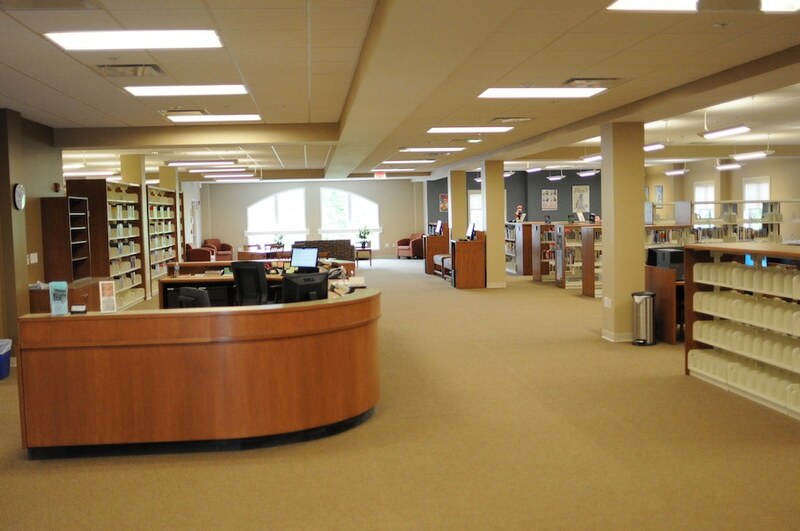 This new 2-story facility is occupied by county government offices and the public library. The design allows for independent operation of each entity while sharing the use of a common space. 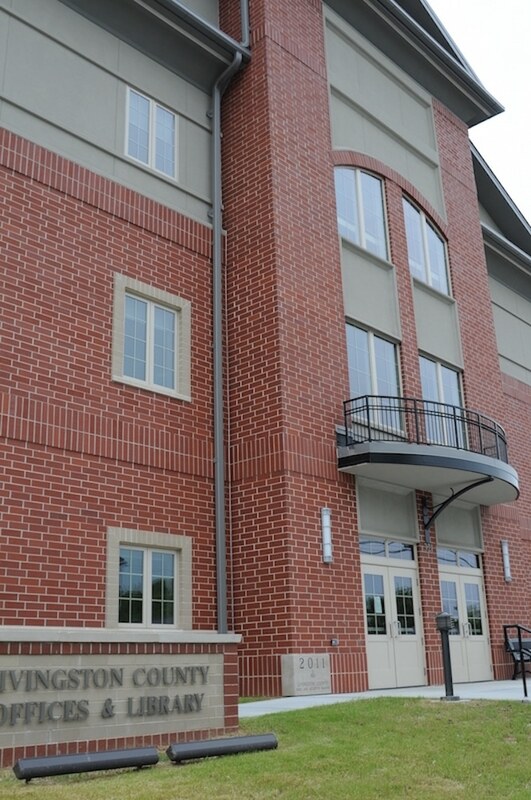 The design compliments the existing facilities located on the same campus property including the new Justice Center and the original historic Livingston County Courthouse built in 1845. 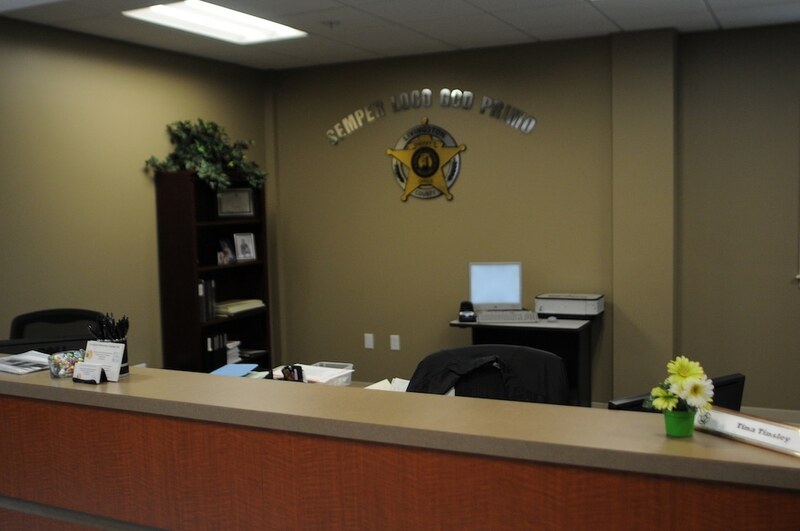 The first floor consists of the county clerk and sheriff’s office as well as public records and the deputy’s office. 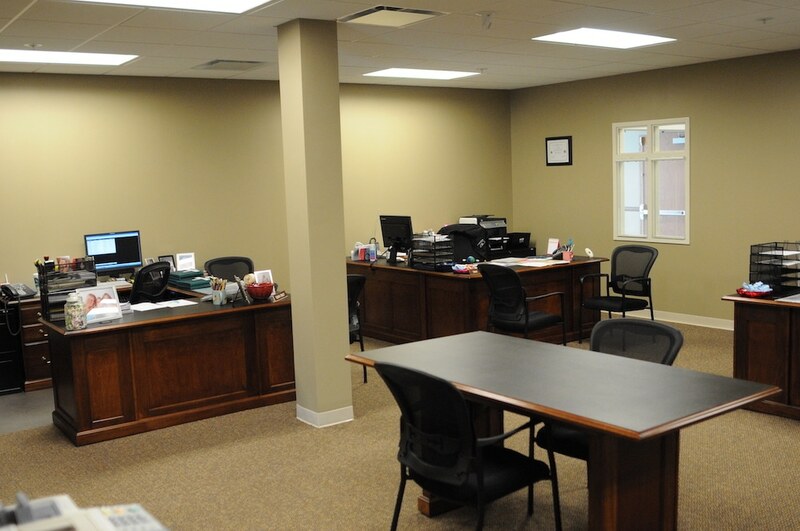 The second floor houses the PVA office, child services and finance and tax offices as well as the Judge Executive Suite.